The Print & The Process began with a short series of Craft & Vision eBooks. The idea was simple; the books were a chance to show my work, and then the work of some other talented photographers as the series went on, before diving into the how and why – the process – of making those images. I still think photographic education is perilously anaemic when it comes to teaching about the process of creation, and I hoped that this kind of approach would be helpful. So when my publisher, Peachpit, agreed to do a print book about this very thing I was really excited. The book’s written, the images are in, and it’s now in layout. In December it’ll be printed and shipping. When I have more to show you, like internal layouts and samples, I’ll pass them on as quickly as I can. The Print & The Process is divided into four parts. The first two are re-edited versions of two of my books from the original ebook series – the Venice and the Iceland books. The second half of the book is work that almost no one has seen in its fullness – my Antarctica work, of which I’ve shown only a few images, and my work from Northern Kenya for The Boma Project, which means I get to finally show my humanitarian work, and discuss the process behind that work, which is largely portraiture. The Boma Project is close to my heart in a way no organization has ever been and I’m thrilled to be able to show that work. 10% of the profits from the sale of The Print and The Process will go towards The Boma Project in Northern Kenya as they work among the poorest of the poor to build sustainable, self-reliant, micro-businesses. The joke of all this is that after my first 3 books I said I was slowing down. Then I accidentally wrote Photographically Speaking, adding a 4th book to an intended trilogy. Then I said I was really going to slow down. I’ve just given up even pretending that I know how to slow down. I do know this is the last education book I do until I publish a fine art book, which I hope to have out in a year from now. Hey, I know I’ve said this all before, but it needs to be said again – every person that buys these books, asks their libraries to get them, and talks them up on Twitter and Facebook, is part of that which allows me, every day, to do what I love. I am so, so grateful. Thank you. If you’re interested, you can pre-order the book now from the links below. Wow. Number five already! Is there a latin name for that? Quintology? Done! Pre-ordered. Looking forward to another good read, a Christmas present to myself. All the best David. So glad to hear this! David, I have never met you, but I was walking on the beach this morning with my camera, a little frustrated with a technical thing I didn’t understand, thinking that for a non-technical type like me it could take so long just to begin to understand how to use the gear properly (I’m a beginner), and I heard you saying “it’s not about the gear” amd turned my attention back to the creative aspects of the shot. And the other day on a blog where somebody was being cranky about middle-aged ladies with their first DSLRs (that’s me) proclaiming themselves “pros” (that’s not me) and how people should hire professionals….. My response was “I can’t hire someone to express my vision”. It amazed me to realize that I have a vision and how lowly to be a little frustrated at being not quite able to express it….and to know that no one else can do it for me. At the same time i realized I am now appreciating–and buying– other people’s photography because i inderstand the art of it better…I am appreciating their vision.. You are one of my primary teachers in that realm. You are influencing people to love and appreciate the *art* of photography. Thank you. David: Looks like another winner. I am so interested in this kind of thing. I know that a lot of my process is exploratory in nature. I often shoot with a concept of the final image but this often changes in processing as I “tinker” with the image. But I don’t have rules, only a general hint of a workflow that is often altered as I go. So I love to hear how others perceive their shots and hope that it can help define my definitions even more. That was meant to be “lovely” not “lowly”. When do you find time to write all these books? You are always traveling. Pre-ordered it. I suspect that I shall, once again, learn a great deal from you – as I did the first time I read your other books and each time I reread them. Technique is easy to learn but learning to recognize and accept my own vision that I want to express photographically has been harder. But when I print a photo that I feel does express my vision and mat it and frame it and hang it on my wall it feels very satisfying. Not everyone likes them, but some do – and the photos are my vision that your vision has helped me find and express. Thanks. Awesome can’t wait. This is right up my street! David – You’d be amazed how much time you can use when in airports, airplanes, hotels. But I also set aside a week here and there and just go balls to the wall (if you’ll pardon the expression) and get it done. It helps that I really do love the process of writing, too. BEAUTIFUL cover photo, David! Can’t wait to see the book in print. 🙂 I’m currently working on my fourth Peachpit book … I enjoy writing but it always feels like REAL work, lol. Nice, but why only paperback, no kindle edition? First, Congratulations Brother! I’ve used your resources to get back into photography – tremendous blessing. Second, slow down? Dude really! You got momentum… wide the wave (I’m right behind you). Peace & Favor. I am pleased to learn that a new book from David duChemin will arrive just before Christmas. I love your writing and look forward with anticipation to this installment in your trilogy. As for your comment about slowing down; there used to be this great Native American artist here in New Mexico who used to say, “sleep when you’re dead.” IMHO, you seem to have a lot of good things to share about photography (and life) and I would encourage you to keep following the obvious path you’re on. Best of luck to you. 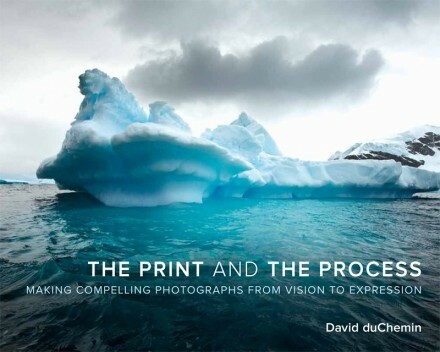 Hi David, just wondering whether in this book you will cover the photo printing process? Amryl – No, there is no discussion of printing in the book. Such a simple proposition. David writes book. Jay buys book. Thanks again for another book. I hope you have uses serif fonts instead of Sans Serif font. You know when you read books like yours Serif fonts makes reading experience far more better and interesting. I hope you have used serif fonts instead of Sans Serif font in the book text. David, congratulations, just pre-ordered the book. Only the waiting process takes a bit time but I am sure it will be as inspiring as your other books.